A WordPress theme for Personal Vcard Resume portfolio. 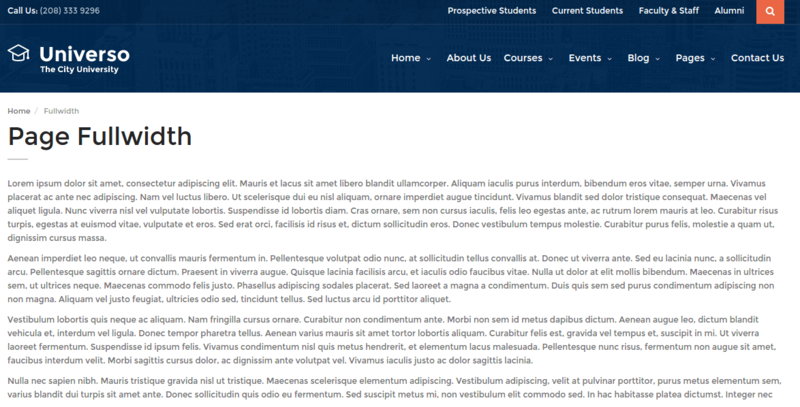 Universo a clean and modern theme for educational websites. It is best suitable for University, Colleges and Educational websites etc. As it is responsive and retina ready it looks fabulous on every kind of device. It is adaptable to each screen type. On activating this theme you get theme options panel which has lot many powerful settings to choose and customize site with few clicks without any knowledge of programming. It is very easy to build a site with this theme as it has page builder plugin. Various elements are in-built in this plugin such as Text Block, Row, Separator, Text Separator, Message Box, etc. Also the theme is compatible with WooCommerce plugin that allows you to build a shop page and sell products online. This plugin is responsible for payment gateway integration. It comes with 3 home Pages Style. It is compatible with WPML pplugin and it also has .po language file whcih turn your site into multilingual website. It supports 600+ google fonts. It allows to create multiple forms for your site and place it anywhere on the panel and is also integrated with Contact Form 7. The theme is child theme ready. Really amazed with so many theme options that are provided by Universo theme. I really felt that I had full control over the settings and was able to give an elegant look to the site. 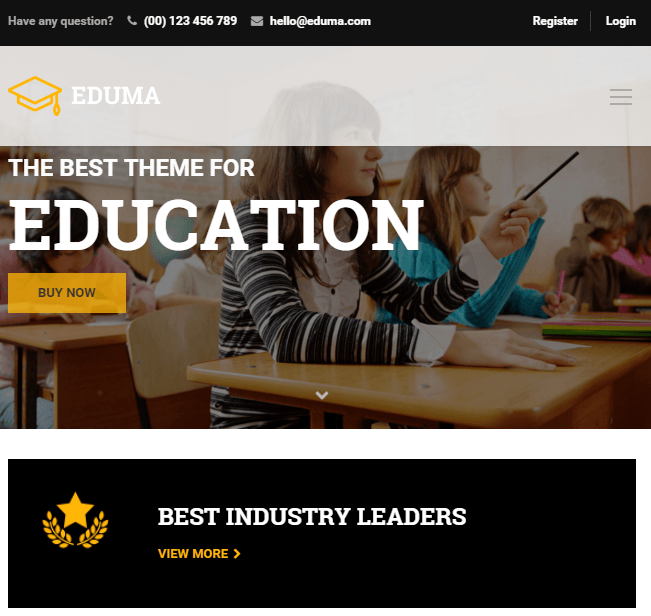 WordPress Theme for Education Websites.